Buying local has its benefits, especially when it comes to extra virgin olive oil. Though the U.S. is the third largest consumer of olive oil in the world, 97 percent of the oil consumed in the U.S. is imported. Americans have been choosing imported oils over domestic, unaware that most oils sold as extra virgin are mislabeled and low-grade. U.S. olive oil producers have argued that the government should impose stricter standards on imports so that they don’t have to compete with lower quality oils masquerading as extra-virgin. 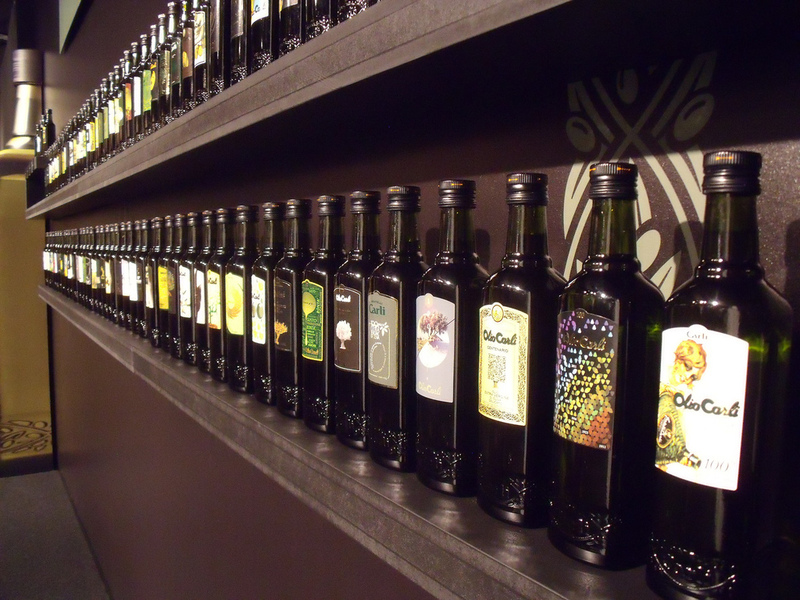 Author Tom Mueller has investigated olive oil fraud in Europe, and he found that bottles that claim to be “extra-virgin” and “from Italy” are neither. In a recent study by agricultural economists at the University of California, Davis suggests that U.S. producers in California, Texas, and other states may be at an advantage for producing and selling premium oils, since they must adhere to high standards in the oil industry. Dan Sumner, one of the authors of the UC-Davis study says that U.S. producers have the knowledge and technology to produce olive oil that’s “at least as good” as Europe’s finest. He adds that producers should be able to reach beyond their niche markets and hit all markets, including restaurants, food manufacturers, high-end independent food markets, and grocery chains. The UC-Davis study notes the impact of PR on olive oil. “Given the stock of articles and the value of U.S. import of olive oils as of 2012, 100 more articles on the health or culinary benefits of olive oils would increase the value of U.S. annual import of olive oils by about $1.6 million in the long run.” American oils could benefit from more articles like this. Consumers in Texas can be assured that buying local extra virgin olive oil is the real deal. Salud de Paloma, a Texas olive oil producer, offers an affordable selection of extra virgin olive oils.